HammerHead® Trenchless, a Charles Machine Works company, has introduced a new, purpose-built trailer for cured-in-place-pipe (CIPP) applications that gives installers a uniquely versatile and efficient workstation suited to almost any job they encounter. The LT-20PRO features a modular design with all storage, electrical power and air supply needed for a wide range of lateral lining tasks. The configuration is customizable, allowing the customer to tailor it to their specific needs and avoid duplication of existing equipment. The 20-foot-long trailer’s modular design not only maintains an efficient workspace during installations but keeps all components secure and at-the-ready while traveling from job to job. On more restrictive job sites, all equipment in the LT-20PRO can be unmounted for easy relocation. “Our trailer's modular design accommodates the widest range of environments, difficult site conditions and logistics,” said Matt Gabrielse, HammerHead product manager. 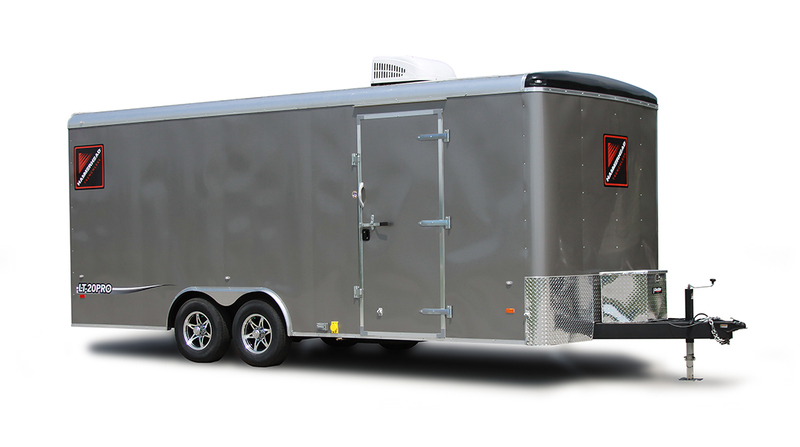 Each trailer can be outfitted with the desired inversion drum size, curing equipment, reinstatement and drain cleaning tools to meet each customer’s individual needs. Customers may also opt to mount any of the CIPP equipment they already own. Unique new HammerHead liner vacuum system for ease in vacuum-prepping liner. Wall hooks to hold liner and calibration tubes. The LT-20PRO purpose-built lateral lining trailer is available direct from HammerHead Trenchless in the United States and Canada. Find your HammerHead sales representative at www.hammerheadtrenchless.com or by calling 920.648.4848. HammerHead® Trenchless, a Charles Machine Works Company, of Lake Mills, Wisconsin, USA, manufactures and delivers a unique combination of rehabilitation, replacement and installation equipment and consumables for the underground construction market. Besides being a full solutions provider in rehabilitation and replacement, HammerHead also offers unmatched field support and project consultation to its customers worldwide. HammerHead products are proudly made in the U.S.A. and sold and serviced in more than 63 countries. For more information visit www.hammerheadtrenchless.com. HammerHead and HammerHead Logo are registered trademarks of Earth Tool Company, LLC in the U.S. and/or other countries. Established in 1902, Charles Machine Works, an employee-owned company, founded in Perry, Oklahoma, is the only manufacturer and global distributor that solely exists to make underground utility construction profitable. Our family of companies includes Ditch Witch®, Subsite® Electronics, DW/TXS®, HammerHead®, Radius® HDD, American Augers®, Trencor® and MTI® Equipment. For more information visit charlesmachine.works.